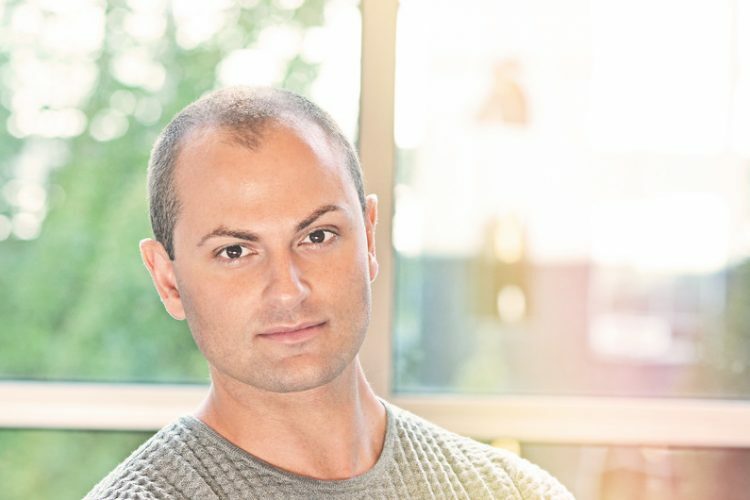 Skincare enthusiasts familiar with the less-is-more and natural-over-synthetic philosophies may be familiar with Jordan Samuel Skin, a rapidly growing line started by Jordan Samuel Pacitti. Pacitti’s passion, however, goes back to his first career – a professional dancer with the Pacific Northwest Ballet that lasted 11 years. Seeing the toll heavy makeup and long rehearsals under hot lights took on his skin, and noticing the routines other dancers used, Pacitti started making his own products – plant oil-based cleansers and hydrating serums. Rather than keep it to himself, he wanted to spread his knowledge, and that led Pacitti to study at the Gary Manuel Aveda Institute, followed by a stint at the Ummelina International Day Spa and training for Kate Somerville skincare. By 2012, Pacitti went off on his own, opening his own skincare clinic. The following year, his own skincare line officially launched with four products formulated with nutrient-rich, anti-inflammatory ingredients inspired by his years as a dancer. What interested you about ballet? I was a VERY energetic kid. My parents put me in ballet at first as an outlet. 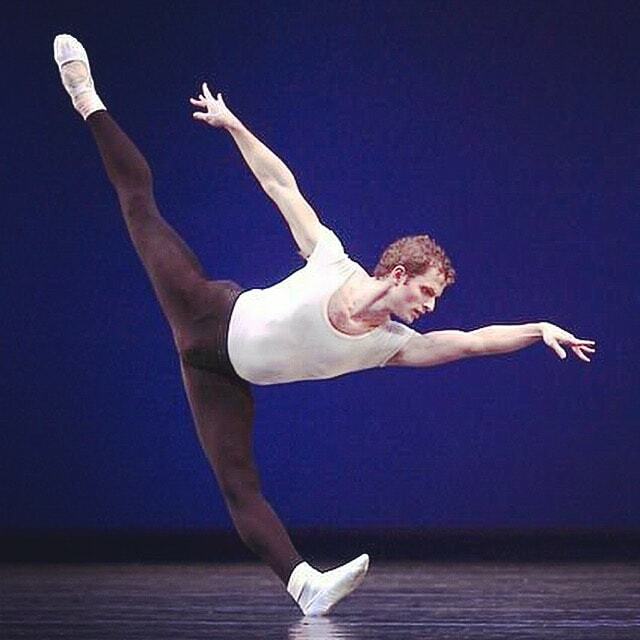 So, in a way, ballet found me. Once I started learning ballet and performing, I knew this was the career for me. Over the years, the mix of athleticism mixed with pure grace and the constant striving for perfection are what captivated me. And [they] still do. How does your dance background shape your approach to skincare? I was fortunate enough to not really have any skin issues growing up. So when I started performing professionally at 18, I had the worst skincare habits. The stage makeup wrecked my skin so I had to figure something out. I literally just copied what the ballerinas did, noting the cleansers they were using, how they applied them, and removed them, and what they followed up with. Almost all of my basic skincare philosophies stem from what ballerinas do! What influenced you to open your own skincare clinic? I was working at a prominent Seattle day spa and was frustrated by certain protocols we had for facials. I was always changing them – and then getting in trouble. So I knew if I wanted to really create and perform the facials I wanted, I had to go out on my own. I no longer have my clinic, as the business has shifted to product sales, but I still do facials when there is time available. With your products, why did you decide on a direct-to-consumer business model? To me, direct-to-consumer is the way of the future. We can be so much more hands-on while having great flexibility to create the products customers and ourselves want. We also have a relationship directly with the customer instead of the retailer. It’s a slower growth but well worth it. What makes an effective skincare product? One that is non-irritating, results driven, and easy to use. For having good skin, which products and ingredients should one use regularly and what should someone avoid? SPF, retinol, and a non-foaming cleanser. Also, a good gentle acid-type product – one that your skin can stand and not become irritated from. Avoid most soaps and highly foaming cleansers. These will mess up your routine and results from the start. Outside of products, what lifestyle habits, in your opinion, damage and prematurely age your skin the most? Smoking and sun tanning – especially without SPF. What’s your approach for formulating your products? I start with what my skin would want. While that sounds selfish, it’s literally the skin I know the best. So, I have to start there. Then, I see if there is a gap in the market for something I’m creating – or if there is something out in the market that needs improving. I always want to make peoples’ lives (and skincare) better and easier. What do you consider good components of a daily skincare regimen? A good non-foaming cleanser, serum, moisturizer, and SPF. Men can be a bit timid, if not completely avoidant, when it comes to skincare. For a guy who’s interested in maintaining his skin, where’s a good place to start? A great cleanser and a SPF moisturizer. A perfect start. What plans do you have for your skincare line? Will you be adding any new products in the near future? Many. We would love to have a brick and mortar store eventually, where people can trial the products, learn about their skin, and have fun. We also just launched the Italian collection! It started with a body oil and will be expanding this year with more body and face products. We also have some other great serums launching this year, as well as a fragrance with D.S. & Durga hopefully! 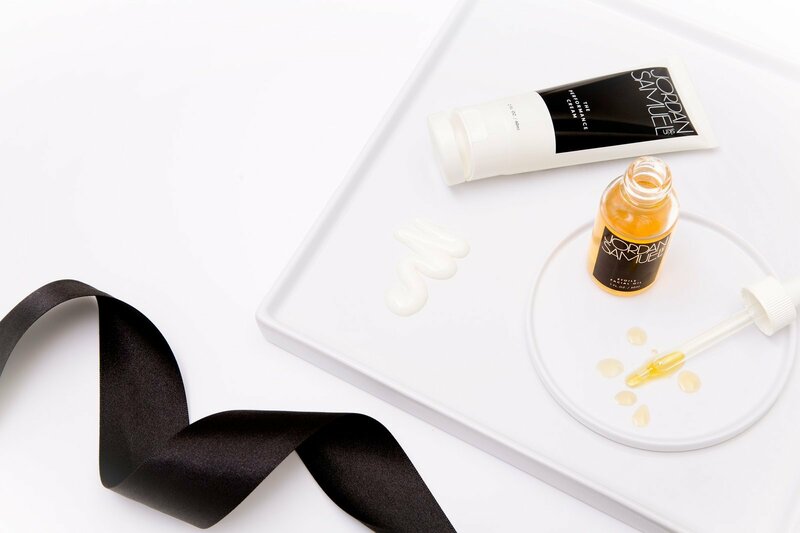 To find out more about Jordan Samuel skincare, read our review or visit their website!